Thirteen new members (plus one re-joining) were enrolled into St Mary’s (Bromley) Mothers’ Union on Sunday 8th January 2017 during the morning service. The timing was particularly appropriate as the service was one of Rededication. But how did this wonderful occasion come about? In June 2016 St Mary’s Church included a Mothers’ Union 140th Anniversary Celebration into their Family Communion Service, at which Julia Jamieson, Rochester Diocesan President of Mothers’ Union, preached. She spoke warmly about Away From It All (AFIA), the MU charity dedicated to providing holidays for those families who cannot afford to go away and are hit by hard times. St Mary’s branch has always been active (and very successful) in raising funds for this work, and it is close to Julia’s heart. Following the service, one or two people in the congregation, including the curate and a 95-year-old man, asked if they could join the organisation that did so much good. MU members help at the church Baby and Toddler Club (BATS) each week. They also support the young families who gather in the church transept during morning services. Discussion about Mothers’ Union was initiated by an MU volunteer and a few of the young mums expressed interest in the organisation. Non-members had also started coming to Knit and Knatter for Charity, the project that St Mary’s MU had set up, including folk from outside the church. When a feeling emerged that one or two of them might like to join MU as well, it was clearly time to start planning. An Information Meeting was arranged before Christmas, at which video clips of MU at work both at home and abroad were shown. Members explained why they had joined MU and local activities were discussed. Invitations to this meeting were sent to about 30 eligible people, including those who had already shown interest. The meeting was well attended, and was enhanced by the quality of audio-visual equipment kindly operated by the curate, who was determined to join! A date had already been agreed with the clergy for an Enrolment Service early in the New Year, and so it was that 15 people were due to be enrolled (and one re-joining the branch) on 8th January. Unfortunately, three were unable to make the date, but, just before the service started, someone who had been thinking of joining but not committed herself, came into the church and asked “Is it too late?” In the end 14 people were involved, including a Church warden, with three more to follow at a later date. It was a glorious event! The Mothers’ Union banner was processed during the first hymn to rest next to the altar. When new members were asked to come forward, and existing members were asked to stand for the ceremony, about 45 people rose from all around the church, including the family corner. The curate, Ruth Peet, enrolled each new member and was then herself welcomed into membership. Applause broke out and grins could not have been wider. 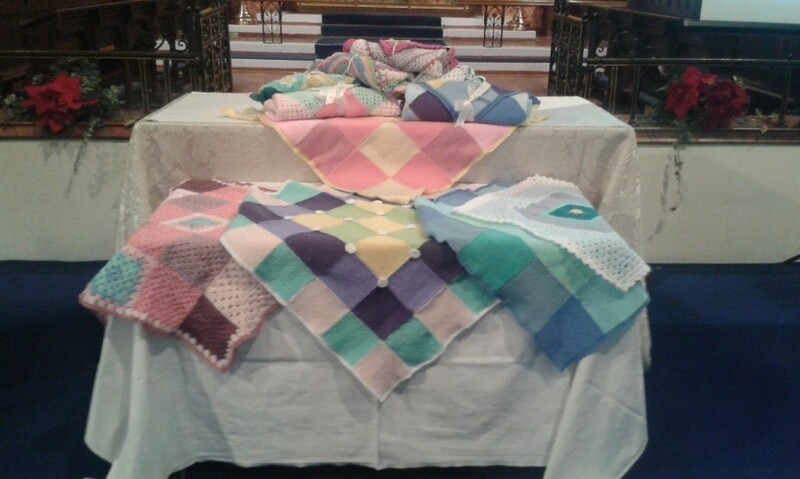 During the service, ten blankets were presented as Baby Baptism Gifts. These had been assembled from squares, knitted and crocheted by members of MU-inspired “Knit and Knatter for Charity”, and by others. Following this excitement, the challenge ahead is to ensure that all the new members feel part of the warm supportive group that is Mothers’ Union locally, as well as an important, if small, cog in a very big international wheel. Action will need to follow the faith that has been shown. Over the coming months, St Mary’s Mothers’ Union will be looking at more ways to help families and to be involved with the community, ensuring that every member has a role to play. 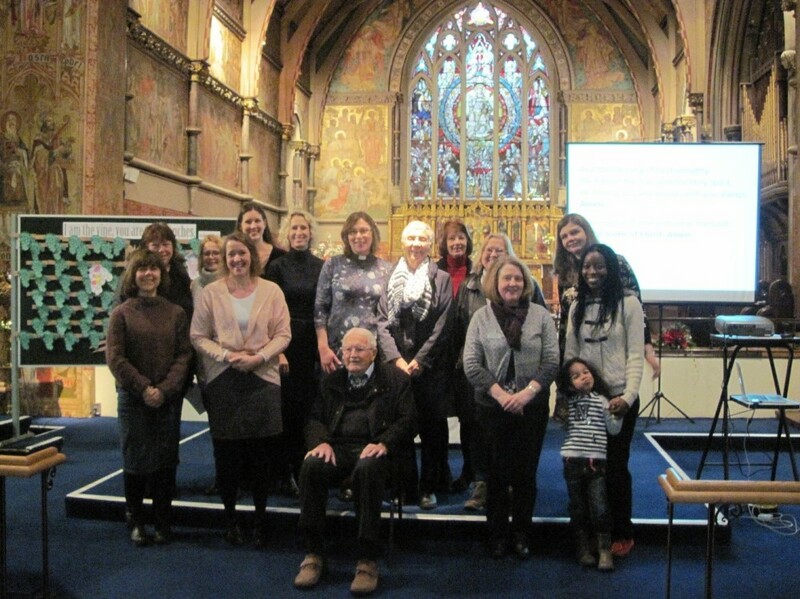 Here are the 14 new members of St Mary’s (Bromley) Mothers’ Union following the Enrolment Service on 8th January 2017. It should be noted that the youngest person in the picture was not enrolled – this time!